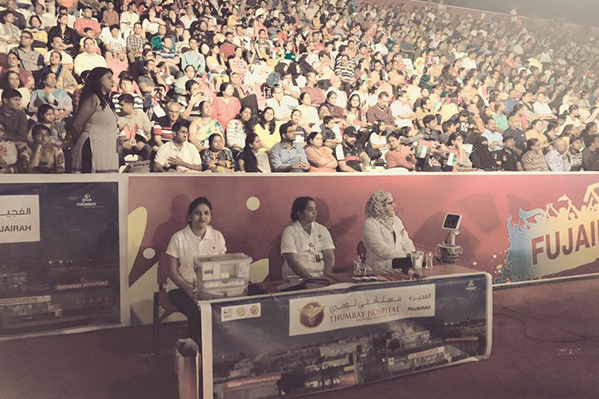 Thumbay Hospital – Fujairah (JCI accredited & Winner of Sheikh Khalifa Excellence Award), the leading academic hospital under Thumbay Group’s Healthcare Division participated by offering medical support at the recent ‘Art of Living’ event held in Fujairah. People from all over the Emirate participated in the event. The participants were addressed by His Highness Sheikh Mohammed bin Hamad bin Mohammed Al Sharqi, Crown Prince of Al Fujairah, UAE. 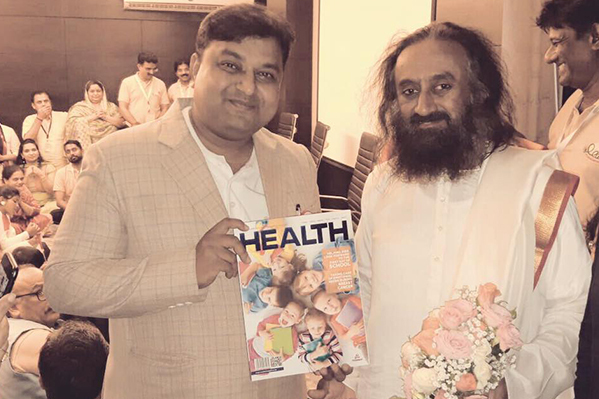 The session was conducted by Gurudev Sri Sri Ravi Shankar, founder of the Art of Living Foundation (AOL) and International Association for Human Values (IAHV). 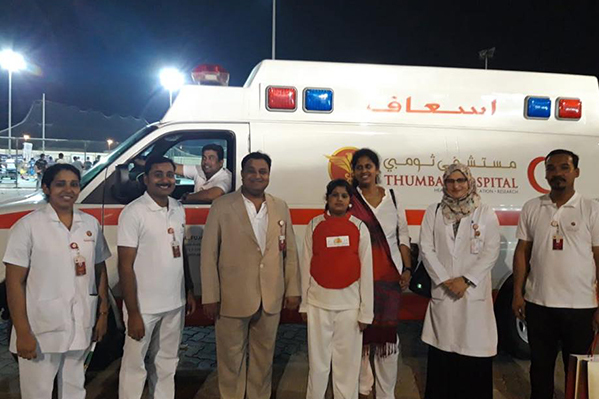 The medical support team from Thumbay Hospital, Fujairah was led by Dr. Mohammad Faisal Parvez – Chief Operating Officer, who met and greeted Gurudev Sri Sri Ravi Shankar and briefed him about the hospital, as well as about Thumbay Group’s hospitals and clinics in general.